Send A Message To Alan. Session Fees: Fees are fair and reasonable within the industry. Ask about coverage plans. 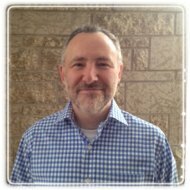 Alan has been in private practice counselling since 2005, providing all types of counselling - Personal, Marriage/Relp, & Family Counselling. Alan has also worked in addiction treatment (1998-2005). Master of Arts, Counselling - Providence Seminary, 2000. B.A. English and Psychology, Lakehead University, 1996. Insured Member of Professional Association of Christian Counsellors & Psychotherapists (PACCP). Alan originally hails from beautiful Thunder Bay, ON, but is now proud to call Winnipeg home on the prairie. He is married and has 2 sons, and his family are his greatest treasures.